Are you sure you want to remove Acts passed at the first[-second] session of the Second Congress of the United States of America from your list? United States Code annotated 2000.: index. 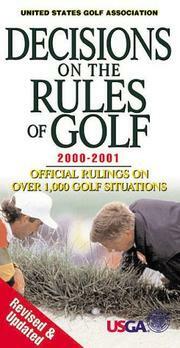 United States Code annotated February 2000.: Public laws 106-105 to 106-170 : 106 Congress, 1st session : tables. Copyright law of the United States of America: contained in Title 17 of the United States code. in English - Rev. to February 1, 1993. Health Security Act: a bill to ensure individual and family security through health care coverage for all Americans in a manner that contains the rate of growth in health care costs and promotes responsible health insurance practices, to promote choice in health care, and to ensure and protect the health care of all Americans. in English - Rev. to March 1, 1991. Compilation of securities laws within the jurisdiction of the Committee on Energy and Commerce: including Securities Act of 1933, Securities Exchange Act of 1934, Public Utility Holding Company Act of 1935, Trust Indenture Act of 1939, Investment Company Act of 1940, Investment Advisers Act of 1940, Securities Investor Protection Act of 1970. 1989, U.S. G.P.O., For sale by the Supt. of Docs., Congressional Sales Office, U.S. G.P.O. 1988, U.S. G.P.O., For sale by the Supt. of Docs., Congressional Sales Office, U.S. G.P.O. The Solid Waste Disposal Act: as amended by the Hazardous and Solid Waste Amendments of 1984 (Public Law 98-616); the Safe Drinking Water Act Amendments of 1986 (Public Law 99-339); and the Superfund Amendments and Reauthorization Act of 1986 (Public Law 99-499). 1987, U.S. G.P.O., For sale by the Supt. of Docs., Congressional Sales Office, U.S. G.P.O. The Solid Waste Disposal Act: as amended by the Hazardous and Solid Waste Amendments of 1984 (Public Law 98-616), the Safe Drinking Water Act Amendments of 1986 (Public Law 99-339), and the Superfund Amendments and Reauthorization Act of 1986 (Public Law 99-499). Legislation on foreign relations through 1984. 1985, U.S. G.P.O., For sale by the Supt. of Docs., U.S. G.P.O. in English - Students ed. Legislation on foreign relations through 1983. Legislation on foreign relations through 1982. 1982, U.S. Dept. 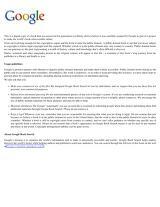 of Health and Human Services, Public Health Service, Food and Drug Administration, For sale by the Supt. of Docs., U.S. G.P.O. Laws enforced by the U.S. Food and Drug Administration. in English - Reissued 1981. 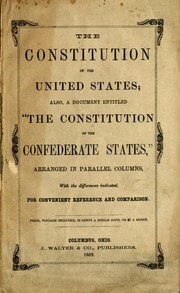 Revised statutes of the United States: passed at the first session of the Forty-third Congress, 1873-'74, embracing the statutes of the United States, general and permanent in their nature, in force on the first day of December, One thousand eight hundred and seventy-three, as revised and consolidated by commissioners appointed under an act of Congress, with an appendix containing "An act to correct errors and supply omission"
1980, U.S. G.P.O., For sale by the Supt. of Docs., U.S.G.P.O. 1980, U.S. G.P.O., For sale by the Supt. of Docs., U.S. G.P.O. in English - Students' ed., 1978 revision. 1975, U.S. Govt. Print. Off. 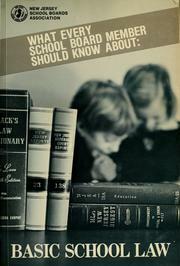 Copyright law of the United States of America, revised to January 1, 1973: title 17 [of the] UnitedStates Code. 1973, U.S. Govt. Print. Off. 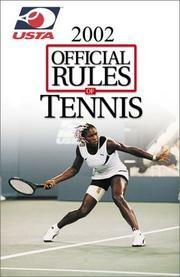 The Judicial code and rules of procedure in the Federal courts, with excerpts from the Criminal code. Copyright law of the United States of America. 1965, U.S. G.P.O., For sale by the Supt. of Docs., U.S. G.P.O. 1962, U.S. Govt. Print. Off. 1961, U.S. Govt. Print. Off. 1960, U.S. Govt. Print. Off. Surplus property act of 1944 and amendments. 1959, U.S. Govt. Print. Off. Federal Judicial code annotated: fully annotated to the decisions of Federal and State tribunals. 1953, U.S. Gov't. Print. Off. The Federal antitrust laws, with summary of cases instituted by the United States, 1890-1951. Foreign Economic Assistance Act, 1950. 1949, U.S. Govt. Print. Off. Laws relating to shipping and merchant marine. 1948, U.S. Govt. Print. Off. Laws relating chiefly to the Navy, Navy Department, Marine Corps, and Coast Guard: passed at the first session of the Seventy-ninth Congress, 1945. 1946, U.S. Govt. Print. Off. Excise tax provisions of the Internal revenue code. : August 16, 1946. 1945, U.S. Govt. Print. Off. Laws, proclamations, and executive orders, relating to the United States Maritime Commission, War Shipping Administration: September 8, 1939, to December 31, 1944. 1942, U. S. Govt. print. off. 1938, U.S. Govt. print. off. 1937, U.S. Govt. print. off. 1935, U.S. Govt. Print. Off. Federal reclamation laws annotated. : A chronological compilation of the public statutes of the United States relating to the Federal irrigation of arid lands; with notes of decisions of the courts, the Comptroller, the Comptroller General, the Department of the Interior, and the Bureau of Reclamation. 1931, U.S. Govt. Print. Off. Philippine tariff act of 1909: as amended by the United States tariff acts of October 3, 1913, and September 21, 1922, and several acts of the Philippine Legislature. 1929, U.S. Govt. print. off. Federal laws and rulings affecting land-grant colleges. A bill to quiet the title to lands within Pueblo Indian land grants, and for other purposes. Comparison of the bill H.R. 7456 as passed by the House of representatives with the tariff acts of August 5, 1909, and October 3, 1913, arranged in parallel columns. 1919, Virginian Law Book Co., Bobbs-Merrill Co.
Barnes' Federal code: containing all Federal statutes of general and public nature now in force. Digest of federal income and war excess profits tax laws: with table showing amount of income tax on net incomes ranging from $3000 to $3,000,000 ... Income Tax Act of September 8, 1916; War Income Tax, War Excess Profits Tax, Act of October 3, 1917. Federal laws, regulations and rulings affecting the land-grant colleges of agriculture and mechanic arts. Banking and currency bill. : Comparative print showing H. R. 7837, an act to provide for the establishment of federal reserve banks, to furnish an elastic currency, to afford means of rediscounting commercial paper, to establish a more effective supervision of banking in the United States, and for other purposes, as passed by the House, as passed by the Senate, and as agreed to in conference. Federal laws, regulations, and rulings affecting the land-grant colleges of agriculture and mechanic arts. 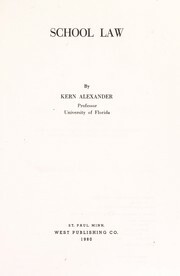 in English - Compilation of 1911. Extracts from revised statutes and statutes at large relating to the Department of State, the diplomatic and consular service, and foreign relations. Laws, treaty and regulations relating to the exclusion of Chinese. - 8th ed., annotated, 1895. 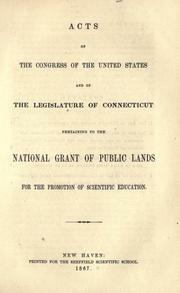 Supplement to the revised statutes of the United States. : Vol. 1, second ed., rev. and continued, 1874-1891. 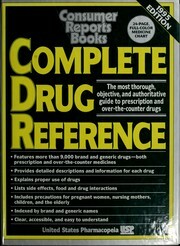 Supplement to the revised statutes of the United States. The revised statutes of the United States: relating to commerce, navigation and shipping, with references to the decisions of the federal courts construing them, together with the regulations promulgated by the secretary of the Treasury in accordance therewith, and a full collection of forms. 1880, S. Whitney & co.
Revised statutes of the United States, passed at the first session of the Forty-third Congress, 1873-'74: embracing the statutes of the United States, general and permanent in their nature, in force on the first day of December, One thousand eight hundred and seventy-three, as revised and consolidated by commissioners appointed under an act of Congress; and as reprinted, with amendments, under authority of an act of Congress approved the second day of March, in the year one thousand eight hundred and seventy-seven, with an appendix. 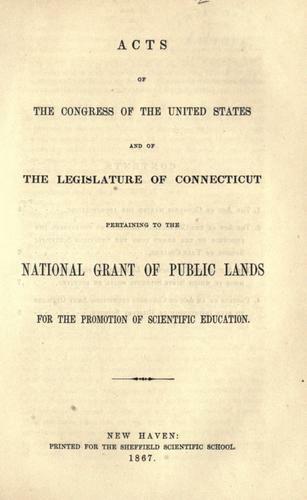 Revised statutes of the United States, passed at the first session of the Forty-third Congress, 1873-74: embracing the statutes of the United States, general and permanent in their nature, in force on the day of December, one thousand eight hundred and seventy-three, as revised and consolidated by commissioners appointed under an act of Congress; with an appendix containing "An act to correct errors and supply omissions"
Acts of the Congress of the United States and of the Legislature of Connecticut pertaining to the national grant of public lands for the promotion of scientific education. United States stamp duties: containing all the acts of Congress, and decisions of Commissioner of Internal Revenue relating thereto. 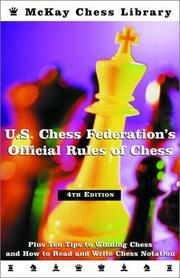 Military laws, and rules and regulations for the army of the United States. An act, establishing rules and articles for the government of the armies of the United States, with the regulations of the War Department respecting the same: to which are added, the several laws relative to the Army, the militia when in actual service, volunteers, rangers, Ordnance Department, and the Quarter Master's and Commissaryt General's Departments. Acts passed at the first session of the eighth Congress of the United States of America, begun and held at the city of Washington, in the District of Columbia, on Monday, the seventeenth of October, in the year 1803 and of the independence of the United States, the twenty-eighth. Acts passed at the second session of the Fifth Congress of the United States of America: begun and held at the city of Philadelphia, in the state of Pennsylvania, on Monday, the thirteenth of November, in the year M,DCC,XCVII. And of the independence of the United States, the twenty-second. 1800, Printed by John Bioren, for Thomas Dobson, at the Stone-House, no. 41, South Second Street. Acts passed at the first session of the Sixth Congress of the United States: begun and held at the city of Philadelphia, in the state of Pennsylvania, on Monday the second of December, 1799. 1800, Printed by A. Hodge. Acts passed at the first session of the Sixth Congress of the United States. : Begun and held at the city of Philadelphia, in the state of Pennsylvania, on Monday, the second of December, one thousand seven hundred and ninety-nine. 1800, Printed by Meriwether Jones, printer to the Commonwealth. Acts passed at the first session of the Sixth Congress of the United States. 1800, A.D. 1800. Printed by authority, by Elezer A. Jenks. Printer of the laws of the United States, for the District of Maine. 1799, Printed by Richard Folwell, no. 33, Carter's Alley. Acts passed at the second session of the Fifth Congress of the United States. 1798, Printed by Richard Folwell? Acts passed at the second session of the Fifth Congress of the United States: begun and held at the city of Philadelphia, in the state of Pennsylvania, on Monday, the thirteenth of November, one thousand seven hundred and ninety-seven. 1798, Printed by Augustine Davis, printer for the commonwealth. The several acts relative to the stamp duties passed at the late and present sessions of Congress, and which will become payable from and after the first day of July, 1798.: To which is added, a table of the several duties, by which they may be seen at one view. 1798, From the press of Hunter & Beaumont. Acts passed at the first session of the Fifth Congress of the United States: begun and held at the city of Philadelphia, in the state of Pennsylvania, on Monday, the fifteenth of May, one thousand seven hundred and ninety-seven. 1798, Printed by Augustine Davis, printer to the Commonwealth. Acts passed at the first session of the Fifth Congress of the United States of America: begun and held at the city of Philadelphia, in the state of Pennsylvania, on Monday the fifteenth of May, one thousand seven hundred and ninety-seven, and of the independence of the United States, the twenty-first. : Published by authority. Acts passed at the first session of the Fifth Congress of the United States of America: begun and held at the city of Philadelphia, in the state of Pennsylvania, on Monday the fifteenth of May, in the year MDCCXCVII, and of the independence of the United States, the twenty-first. Acts passed at the first session of the Fifth Congress of the United States of America: begun and held at the city of Philadelphia, in the state of Pennsylvania, on Monday the fifteenth of May, in the year M,DCC,XCVII. And of the independence of the United States, the twenty-first. 1797, Printed by Richard Folwell, no. 33, Carter's-Alley. Acts passed at the second session of the Fourth Congress of the United States of America: begun and held at the city of Philadelphia, on Monday the fifth of December, one thousand seven hundred and ninety-six, and of the independence of the United States the twenty-first. 1797, Printed by Aug. Davis, printer for the public. Acts passed at the first session of the Fourth Congress of the United States of America: begun and held at the city of Philadelphia, in the state of Pennsylvania, on Monday the seventh of December, one thousand seven hundred and ninety-five. And of the United States, the twentieth. 1796, Printed by Augustine Davis, printer for the public. Acts passed at the first session of the Fourth Congress of the United States of America: begun and held at the city of Philadelphia, in the state of Pennsylvania, on Monday the seventh of December, one thousand seven hundrd and ninety-five, and of the independence of the United States, the twentieth. : Published by authority. 1796, Printed by Francis Childs, printer of the laws of the United States. Acts passed at the first session of the Fourth Congress of the United States of America: begun and held at the city of Philadelphia, in the state of Pennsylvania, on Monday the seventh of December, one thousand seven hundrd and ninety-five, and of the independence of the United States, the twentieth. Published by authority. Acts passed at the First Congress of the United States of America: begun and held at the city of New-York, on Wednesday the fourth of March, one thousand seven hundred and eighty-nine, and of the independence of the United States the thirteenth. 1795, Printed by Francis Childs, printer of the laws of the United States. Acts passed at the Second Congress of the United States of America: begun and held in the city of Philadelphia, in the state of Pennsylvania, on Monday, the twenty-fourth of October, one thousand seven hundred and ninety-one: and of the independence of the United States the sixteenth. : Published by authority. Acts passed at the second session of the Third Congress of the United States of America: begun and held at the city of Philadelphia, in the state of Pennsylvania, on Monday, the third of November, one thousand seven hundred and ninety-four, and of the independence of the United States the nineteenth. : Published by authority. Acts passed at the first session of the Congress of the United States of America: begun and held at the city of New-York, on Wednesday the fourth of March, in the year M,DCC,LXXXIX. And of the independence of the United States, the thirteenth. 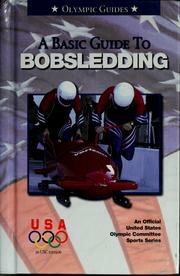 : Volume I. 1794, From the press of T. Stephens. Acts passed at the second session of the Second Congress of the United States of America. : Begun and held at the city of Philadelphia, in the state of Pennsylvania, on Monday, the fifth of November, one thousand seven hundred and ninety-two: and of the independence of the United States, the seventeenth. 1793, Printed by Francis Childs and John Swaine, printers of the laws of the United States. Acts passed at the first session of the Congress of the United State of America: begun and held at the city of New-York, on Wednesday the fourth of March, in the year M,DCC.LXXXIX. And of the independence of the United States, the thirteenth. : Volume I. 1793, Printed by E. Oswald, no. 156, Market-Street, South. Acts passed at the Second Congress of the United States of America: begun and held at the city of Philadelphia, in the state of Pennsylvania, on Monday, the twenty-fourth of October, one thousand seven hundred and ninety-one: and of the independence of the United States, the sixteenth. : Published by authority. Acts passed at the second session of the Second Congress of the United States of America: begun and held at the city of Philadelphia, in the state of Pennsylvania, on Monday, the fifth of November, one thousand seven hundred and ninety-two: and of the independence of the United States, the seventeenth. : Published by authority. Acts passed at the first[-second] session of the Second Congress of the United States of America: begun and held in the city of Philadelphia, on Monday the twenty-fourth of October, in the year M,DCC,XCI. And of the independence of the United States, the sixteenth. : Volume II. 1791, Printed by Aug. Davis. For the General Assembly of Virginia. Acts passed at the first session of the Congress of the United States of America: begun and held at the city of New-York, on Wednesday the fourth of March, in the year M,DCC,LXXXIX: and of the independence of the United States the thirteenth. 1791, Printed by Francis Childs and John Swaine, printers to the United States. Acts passed at the second session of the Congress of the United States of America: begun and held at the city of New-York, on Monday the fourth of January, in the year M,DCC,XC: and of the independence of the United States the fourteenth. : To which are added the treaties betwixt the United States and foreign nations. Acts passed at the first session of the Congress of the United States of America: begun and held at the city of New-York, on Wednesday the fourth of March, in the year of M,DCC,LXXXIX : and of the Independence of the United States the thirteenth. Acts passed at the third session of the Congress of the United States of America: begun and held at the city of Philadelphia, on Monday the sixth of December, in the year M,DCC,XC: and of the independence of the United States the fifteenth. : To which is added an appendix, containing resolves, &c. of the old Congress. Acts passed at the third session of the Congress of the United States of America, begun and held at the city of Philadelphia on Monday the sixth of December in the year MDCCXC and of the independence of the United States the fourteenth. Acts passed at the third session of the Congress of the United States of America: begun and held at the city of Philadelphia on Monday the sixth of December, in the year M,DCC,XC: and of the independence of the United States, the fourteenth. : Published by authority. 1791, Printed by John Dixon. For the General Assembly of Virginia. 1791, Printed by Francis Childs and John Swaine, printers to the Congress of the United States. Acts passed at the second session of the Congress of the United States of America: begun and held at the city of New-York, on Monday, the fourth of January, in the year M,DCC,XC: and of the independence of the United States, the fourteenth. : Published by authority. Acts passed at the third session of the Congress of the United States of America: begun and held at the city of Philadelphia, on Monday the sixth of December, in the year M,DCC,XC : and of the independence of the United States the fifteenth. To which is added an appendix, containing Resolves, &c. of the old Congress. Acts passed at the second session of the Congress of the United States of America: begun and held at the city of New-York, on Monday the fourth of January, in the year M,DCC,XC: and of the independence of the United States, the fourteenth. : Published by authority. 1790, Printed by Francis Childs and John Swaine, printers to the Congress of the United States. Acts passed at the second session of the First Congress of the United States of America: begun and held at the city of New-York, on Monday the fourth of January, 1790. And of the independence of the United States, the fourteenth. : Vol. II. 1790, Printed by Hodge, Allen, and Campbell, and sold at their respective book-stores; also, by T. Lloyd. Impost and tonnage laws of the United States, and a table of fees. November 21, 2012 Edited by 188.190.125.71 Edited without comment.